The hostel provide update city tour information and Ice Festival package in winter. We are professional to organize 2-6 days hiking + village + snow scene round trip in winter, for more information please contact by email. We have perfect location in central down town, easy for dinning, shopping, sightseeing. And there have paid parking lot near the hotel. 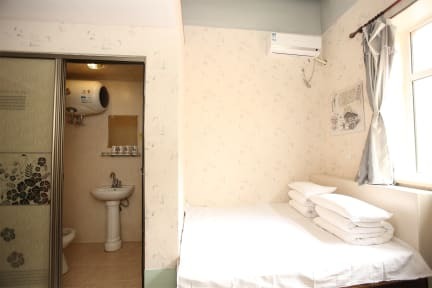 Walking distance to central pedestrian street(Zhongyang Dajie), St. Sofia Orthadox , Songhuajiang River and Zhaolin Park. Public transport nearby , 4 stops from Harbin Train Station. Just a short walking from the airport shuttle stop. Near by the bus stop to Sun Island and Ice Festival. Walking distance to ferry and cross river cable car. The dorm only for children above 12 years old. We don't accept mixd accommodation.One bed for one person. Overall amazing place, very clean, spacious, secure, centrally located. Showers were hot and beds were comfortable, bathrooms were all squatter toilets though. Loved my stay and would definitely recommend! Most of the front desk staff, especially the coffee/bar section were polite and helpful enough, but the main reception girl was a bit sharp! 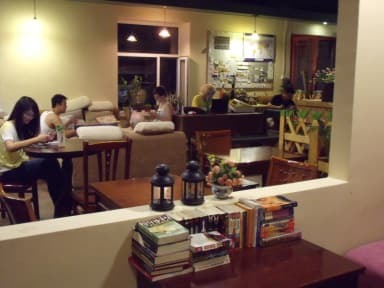 I liked staying at Kazy Hostel because of the overall atmosphere. They were mostly playing Chinese movies which was a little annoying, but there was always music in the morning (no movie screening), and it created a nice chill atmosphere. Their coffee is great! But breakfast is Chinese (it's not specified when you order, and I for some reason expected non-Chinese breakfast, silly me). The only thing I truly disliked was the showers (hot water only in the morning b/c of # people staying there). Basic but clean and staff were very helpful. Hostel provided shuttle bus to Ice Festival which was easy to book and really useful. Very nice place at the best location. Of all staff two members were helpful and understanding, which in the end was enough to get everything I needed. The only downsides: they badly need their showers refurbished - they put you off a little plus seconds of hot water are priceless. Be quick. Also, no kettle. Mugs were available only if you pay for their drinks. Finally, the Ice Festival: make sure you want to take the trip they offer for 300 yuan, because there is a smaller, park option for 50. Great deal if you don't expect much. It's a great deal at $4 - $6 a night, so obviously I was not expecting much in terms of luxury here. The location is the best part. You can walk to Zhongyang (Central Street) in just 2 minutes. My 6 bed dorm was a pleasant surprise, very sunny, clean, and spacious. Pillows very uncomfortable, use your coat. The heat is too hot at night, but better than being cold. The co-ed bathrooms were dark and disgusting, blood in 1 stall not cleaned for 2 days. Very dark and dingy hostel in a great location with friendly staff. The common areas and bathroom facilities don't have enough light (some toilet stalls are pitch black)! Tablecloths, mattresses and floors are quite old and dirty although the very top sheet of the bed is clean enough. The staff are very helpful to arrange tickets to events or help you get around town. Most nights they had a movie in the lobby in English with Chinese subtitles. Location is great, near the main walking street. The staff needs to be more polite and have a better service attitude. Toilets really were dirty and you could see that they were dirty since days, btw they are squat toilets and the don’t provide toilet paper, be sure to have yours. The staff was not helpful at all. They did not even want to help me call a taxi to the train station. No one of them spoke good English. They never smiled and they had an attitude that said "please don't bother me" most of the time. But they made a great cup of hot chocolate.